Ever have good intentions that just didn't work out? That was this post. Originally this was going to be a video and I filmed it, it was great. Went to edit it, and realized my mic wasn't on. Refilmed it and then when I went to edit it, I didn't like how I looked, but didn't want to throw away the footage. 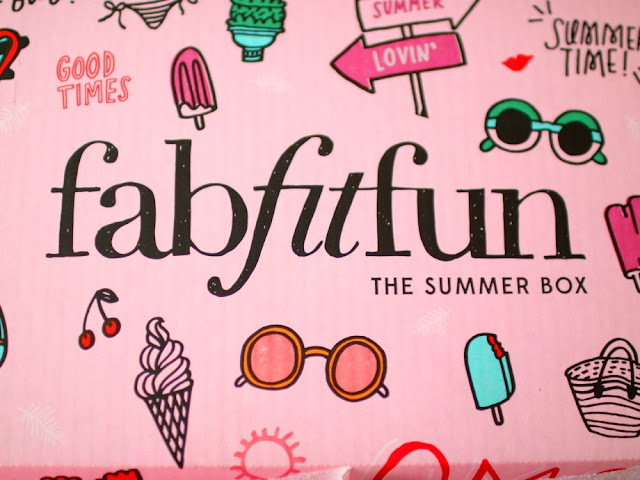 I've been a subscriber to FatFitFun since the beginning and can't wait to share the box for summer. It's $49.95 a season. I had to share it again because it's cute. and a donut print! It was a free add-on. And here is the towel unfolded with a closeup of the other items! If you're interested in FabFitFun, here's my code! What products interested you the most? Have you ever had a post not turn out like you wanted? that ice pop mold though! and the tote is super cute. and who doesn't love donut print? great box! Ohh I love how you did gifs to show the items! So clever. Looks like a great box! That bag is adorable. i'm such a sucker for anything yellow anyways. I may have to check out this box. Good stuff in it. This FabFitFun seems to be excellent, the amount paid for what it really values is great! Oh, I had to smile about the story about the mic and video, but I liked the gif way of showing. I loved the bag, first of all, and then the Stemulation Scrub - I like scrubs. And the bonus against blisters and Burt's Bee BB cream< I would love to try these samples! The only box that I subscribe to is the Sephora Play Box, but this looks like a great one! I love that you get full size samples to try, and all of the bags are so cute! I love that you made gifs out of the footage, such a great idea! I love the ice pop molds and the Trina Turk tote is so cute! The champagne bottle ice moulds are brilliant! This LOOKS great! I want some champagne bottle popsicle molds! lol! 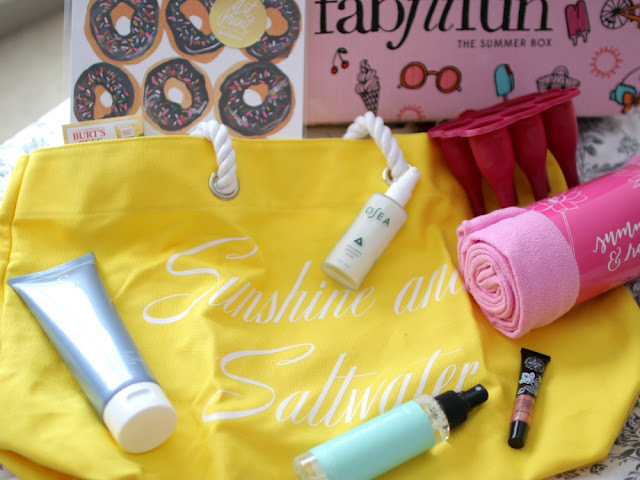 My faves are that cheerful tote, the beach waves spray and I could use a yoga towel! I am thinking of subscribing to this one at some point. Ah the best laid plans right O_o I just stopped my FabFitFun subscription but seeing all the cute items you got in this box, I'm rethinking my decision. Omg so many fun things in this box! How cute is that popcicle mold?? Ughhh, I hate it when a post goes awry! The worst (for me) is when I put together + shoot a look, only to see the pics up close later (after the shoot, when nothing can be done), only to find the outfit was quite right, or the pictures weren't quite in focus. Blogger probs! That stinks you filmed twice and it still wasn't what you wanted. Boo! The beach waves spray sounds interesting. I have been wanting to try one of those. That stinks things weren't working out for your videos. That is so frustrating! I'm glad you were able to get something up! I think my favorite thing is the beach bag or the champagne ice pop molds! Those popsicle molds are fun. Love the beach bag, too! So glad you posted about this because I've seen people share all over social media about these boxes, but I wasn't quite sure what they were all about. Love everything you got, especially the beach waves spray and yoga towel. Seems like a good value, in my opinion! Their boxes look so cute and girlie! I've never received one but it looks like a legit box. There are some goofy ones out there and I love that they give you full product. 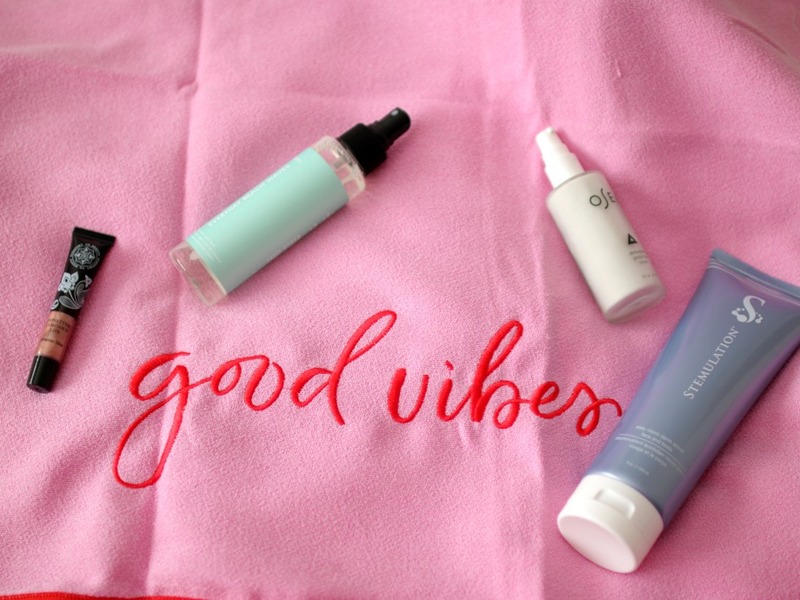 Love that good vibes yoga towel! So cute. Look at you making lemonade out of lemons! I have posts like this sometimes. I always try to tell the truth on my cooking so I have a few fails still in draft form that I will only use in an emergency. This is a great box, what a good value! I was in yoga today and noticed I was the only one without a yoga towel, I wish I would have gotten this box just for that! Love the gifs! What a great box! That exfoliator sounds wonderful! What a great box and I love the gifs! That champagne popsicle mold is too cute and the citrus exfoliator sounds amazing! How fun! I love the gifs you created. I know nothing about them but maybe Google will help me out :) I love the look of this box, and I follow the brand on insta. I haven't joined yet but am really tempted! SO many great things! I'm loving that yoga towel! Yoga tool and bag is so cute. I'm waiting for mine to come. It shipped on 6-17. Oh bummer, I hate it when nothing seems to go right with technology. I love the GIFs though! This looks like such a fun box to get--I love that cute donut print and the bag! Great products too! #thestruggleisreal for us bloggers lol looks like a great box!